This design has been drawn in pen and ink by artist Mark Reynolds. 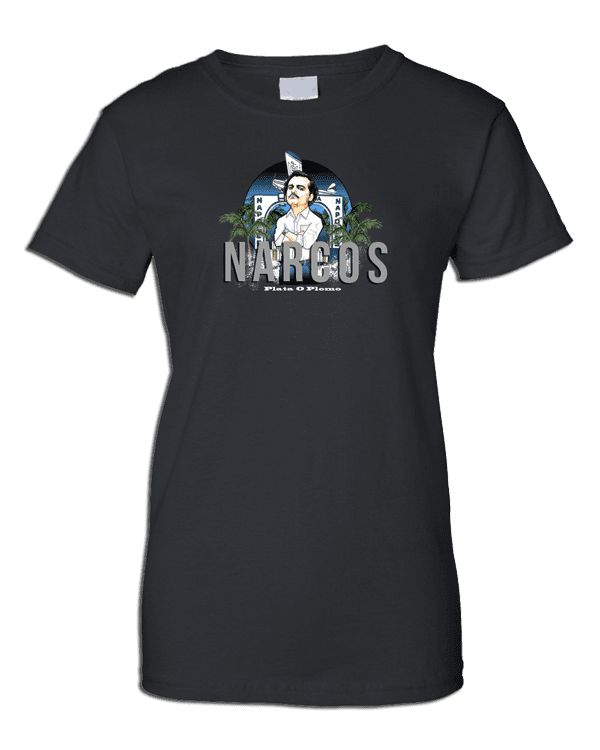 This Narcos inspired T-Shirt is made using original artwork by Mark Reynolds and is available in a wide range of colours and sizes. Set and filmed in Colombia, Narcos tells the story of notorious drug kingpin Pablo Escobar, who became a billionaire through the production and distribution of cocaine, while also focusing on Escobar’s interactions with drug lords, DEA agents, and various opposition entities.